Heart Disease is the number one killer in women. What should you look out for--and when should you go in for tests? Malorie Maddox walks us through it. 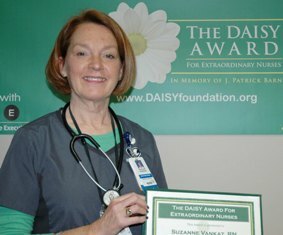 Suzanne Vankat, a nurse on the Medical-Surgical Unit at Methodist Hospital, was honored at a recognition ceremony on Thursday, February 20, as the February DAISY award winner. Welcome to the new Methodist Health System employees who went through New Employee Orientation Feb. 4-17, 2014. Be on the alert and tread carefully around raised or broken concrete areas that are marked with orange paint or surrounded by cones. David Hayes sat 3 feet away as Dr. Steven Bailey swiveled on a stool to look him in the eyes, then spun back to stare at a computer screen. Michael Godfrey sits silently, hands folded, next to his freshly made bed on the fourth floor of Omaha's Methodist Hospital. Worldwide health experts now say one in every three women will be sexually assaulted at some point in her life. They're in typical Omaha hospital rooms, a 66-year-old woman and a 71-year-old man draped in hospital gowns, eating hospital food, watching hospital TV, sleeping that fitful overnight hospital sleep. This year’s Cardiac Rehabilitation Week theme, “For the Heart, From the Heart,” honors the patients, families and healthcare professionals who are dedicated to cardiac rehabilitation as a way to achieve a healthy lifestyle. Managing pain for surgical patients isn't only about helping people feel better. It's also about helping them get better, faster. Welcome to the new Methodist Health System employees who went through New Employee Orientation Jan. 21 - Feb. 3, 2014. 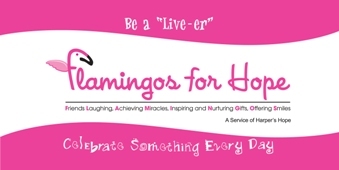 The Flamingos for Hope will visit patients at Methodist Estabrook Cancer Center on Wednesday, Feb. 12, with a heart-warming "Be My Valentine" theme to brighten the day. Follow these important tips for winter weather preparedness to keep you and your family safe.